This is the third update from two excellent, experienced authors, who have worked in the field of cochlear implantation for many years. Keeping up-to-date and getting to press in this rapidly advancing field has been achieved. Like the other editions, it is well balanced, covering all aspects of the management of patients with severe to profound hearing loss. In particular, there is a clear and comprehensive chapter on genetics, with a useful paradigm for testing. Preservation of hearing is equally a hot topic and an important one, especially with the expanding indications of cochlear implantation. Surgeons do not get all the glory, as then we see interesting new horizons emerge, with robotic drilling of the mastoid approaches, cochleostomy and the potential for electrode insertion. Whilst cochlear implantation focuses on the treatment of sensorineural hearing loss associated issues, such as tinnitus, the emerging technology of vestibular implantation has been added as a new feature in this book. 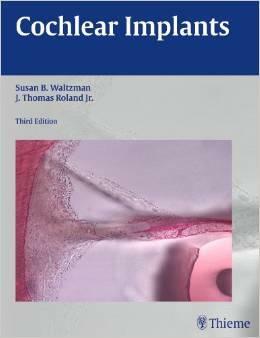 This, like its counterparts, is a valuable book for all, from students to the experienced members of multidisciplinary cochlear implantation teams throughout the world. This book is highly recommended.